Last Wednesday, the Scheller College of Business hosted its latest guest speaker, Chad Strickland of Aaron’s Inc., for its Impact speaker series. The series looks to give students and staff members and inside look into the business models of various successful entrepreneurs and business leaders. Strickland is Vice President of Associate Resources for Aaron’s Inc., a specialty retailer that sells and leases appliances and furnishings to consumers. Aaron’s is based in Atlanta. Strickland effortlessly discussed his path to Aaron’s and the difficulties surrounding the company, while still managing to keep the atmosphere at Scheller upbeat and lively. At first, Strickland was a lawyer for Masterman, Culbert and Tully, where he dealt with litigation and laying off coworkers; before long, the branch he was under was cut. “I flew around the country to lay folks off and then I had to turn the lights out on the company,” Strickland said. Strickland came to Atlanta in 2002 where he was hired by Aaron’s then-CEO, Charlie Loudermilk. Strickland commented on a unique aspect of Aaron’s that doesn’t exist in most other companies: the lack of an HR department, primarily due to Loudermilk’s disinterest. Strickland then defended Loudermilk’s belief. This philosophy seems to have worked thus far, as the company made $2.1 billion in revenue in 2011 alone. Interestingly enough, Aaron’s is operationally driven, focused on both growth and cost control. Unlike the business models of many corporations, however, Aaron’s target client base is those who don’t have immediate access to traditional credit—credit necessary at most other businesses for clients to purchase, or even rent, products. “We provide opportunities to own things through trust,” Strickland said. It is this inherent trust the company possesses which is integral to the foundation of Aaron’s. Originally a small corporation, the company went public in the mid 80s before taking off in 1994. The company grew so much that, in 2010, Strickland was given the momentous task of centralizing the company once again. Strickland and several other upper-level leaders distinguished some points in the company’s structure, such as the way the company acquired talent and the overall culture of the company that they wished to revamp, motivating the centralization. He then set about this momentous task by setting a momentous proclamation: he told his human resources reps that it was time the company reached out to every employee of Aaron’s. 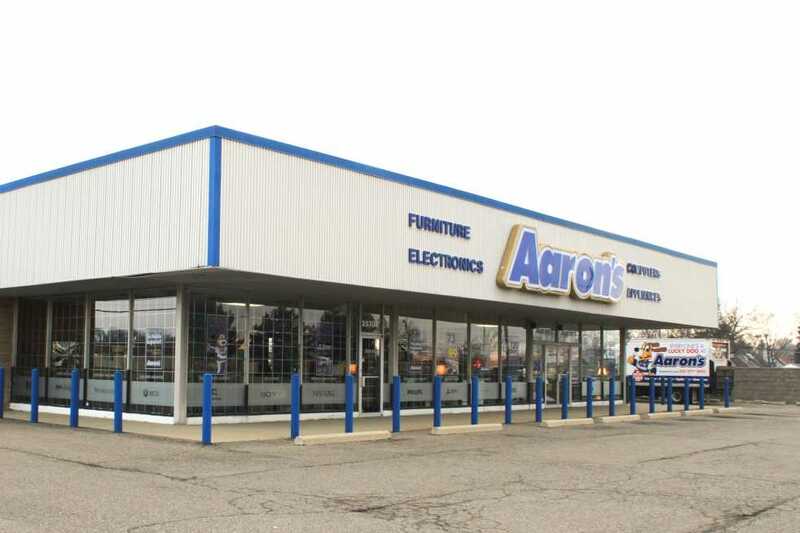 From March to August, the representatives went to each Aaron’s location and discussed old issues and new expectations with each of Aaron’s employee. “I wanted [our] associates to feel like it wasn’t just ‘talk’” Strickland said. Strickland then finished his presentation by discussing the meaning behind the transformation the company had gone through, as well as what it looks to hold on to as the company progresses into the future. Taking a few questions from the audience, Strickland discussed what his most difficult decision had been through this entire process.